Our yard in Austin is beginning to look like the Mekong Delta after a solid month of rain. 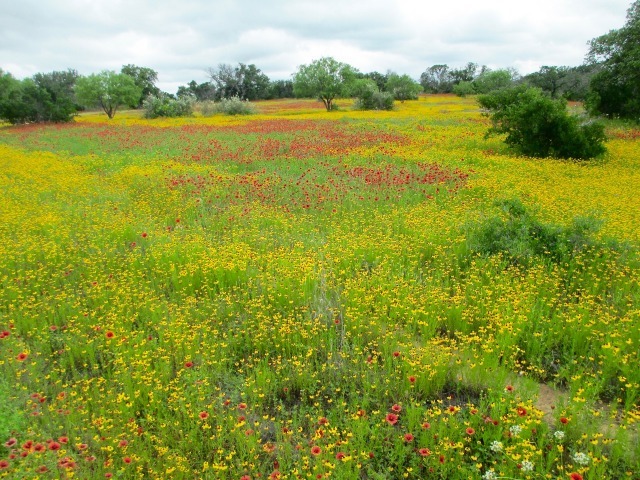 At the ranch in SW Llano County, we are deeply enjoying a lush, drawn-out spring, while still aware that in Texas, these tropical years do not bring joy to everyone. Someone downstream, along the Brazos River or Onion Creek, has to pay the price of such abundant rain by watching their house float away in a record flood. We just happen to be on the lucky end of this year’s climatic mood swing. It’s a thrill beyond words to see trees heavy with foliage, to watch so many pollinators and birds hunt in the open grasslands, and to hear the sound of clean water flowing over every crossing and dry arroyo. As we’ve noted before, this season’s particular combination of weather factors has also favored a different suite of plants. I was challenged to recognize quite a few cool season introduced annual grasses that I hadn’t noticed before. In some places, these grasses towered over and smothered the usual carpet of wildflowers. I wondered if the unusually warm and dry weather we had in January and February gave these annual grasses an advantage over the forbs (wildflowers), whose growth slowed down until the rains returned. In the wildflower department, I’ve been looking at some clumps of Indian blanket (Gaillardia pulchella) and Horsemint (Monarda punctata ) growing in the upper field. 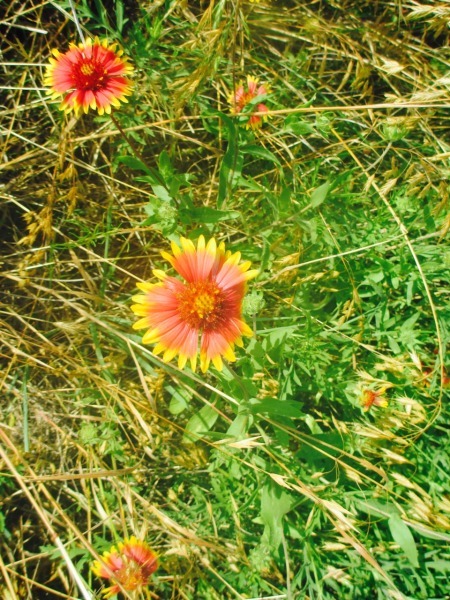 It’s clear these are introduced plants because this species of horsemint doesn’t naturally grow in our area, and the Gaillardia is less red with yellow edges, compared to the darker, solid red ones that we find here on our granite soils. Is it possible that these grew from seed we planted back in 2009? Right after we bought the property that year, I was in a rush to “get something done” to improve the fields made bare by the drought of ’08 and ’09. 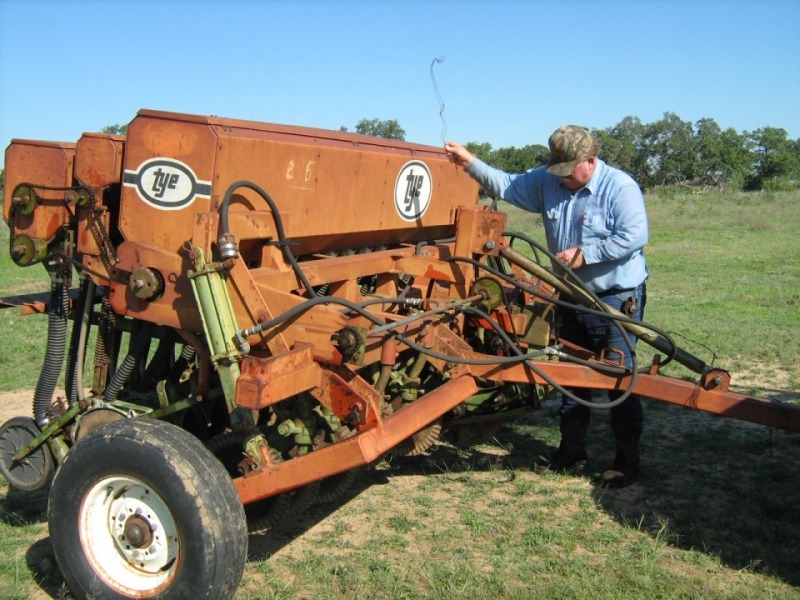 Somehow I cajoled Mr. Sawyer from Llano to come over with his no-till seed drill to help us plant in fields too rough to plough. 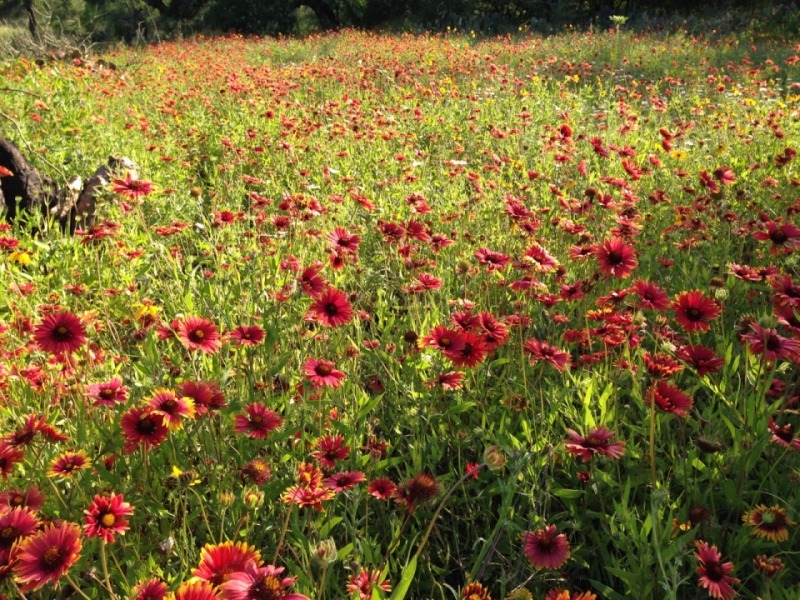 In my typical “ready, fire, aim” approach, I hurriedly bought a seed mix and added a few wildflower species, including bluebonnets, Indian blanket and the horsemint. We saw very little germination of any kind until these random clumps of wildflowers appeared this year. This early project is very revealing of my ignorance and impatience as a new property owner. I didn’t understand that ready-made mixes are often much less effective than those customized for specific soils and local sites. That first mix I purchased only had 6 species, with one of them not even native to the area, and the rest mostly mid to late successional species. 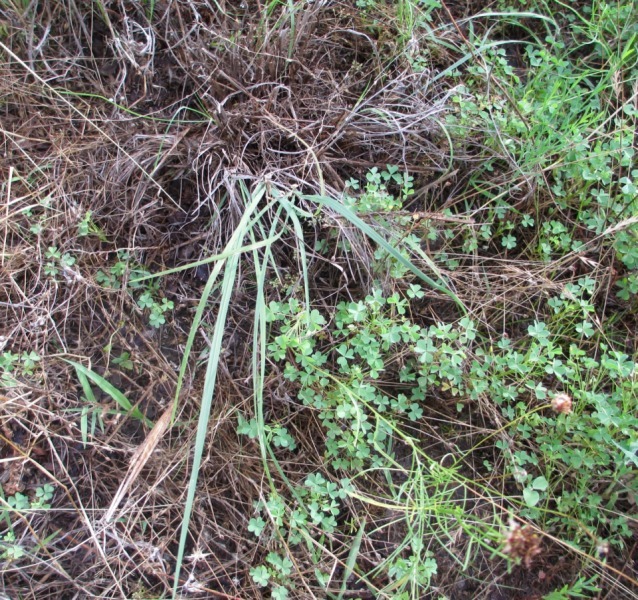 I now realize that most successful projects include a diverse seed mix with at least 10-12 species, with half being early to mid-successional species that are able to colonize the sowing site and both strengthen and increase the soil microbial population needed to support the slower-growing “climax” species. Another foolish thing I did in my haste was to buy wildflower seed before I had even experienced spring on our place! Talk about bringing coals to Newcastle! 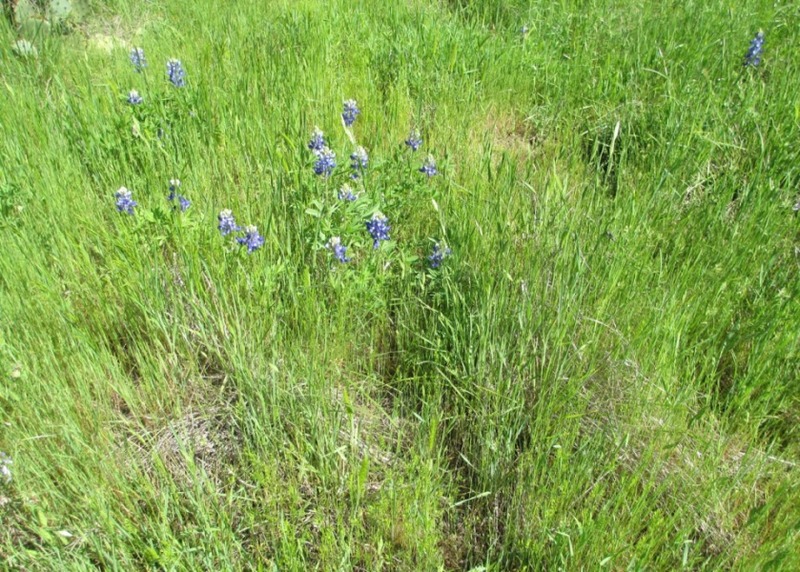 I had no deep understanding of just how prolific wildflowers grow on our sandy, gritty granite soils. Now I am wondering if it was possible for seed wait in the ground for 7 years until certain ineffable conditions lined up to fuel successful germination. If so, that’s pretty amazing and it makes me pause now as I look at other areas where we have worked, but which have been slow to respond. Whose timeline is this, anyway? 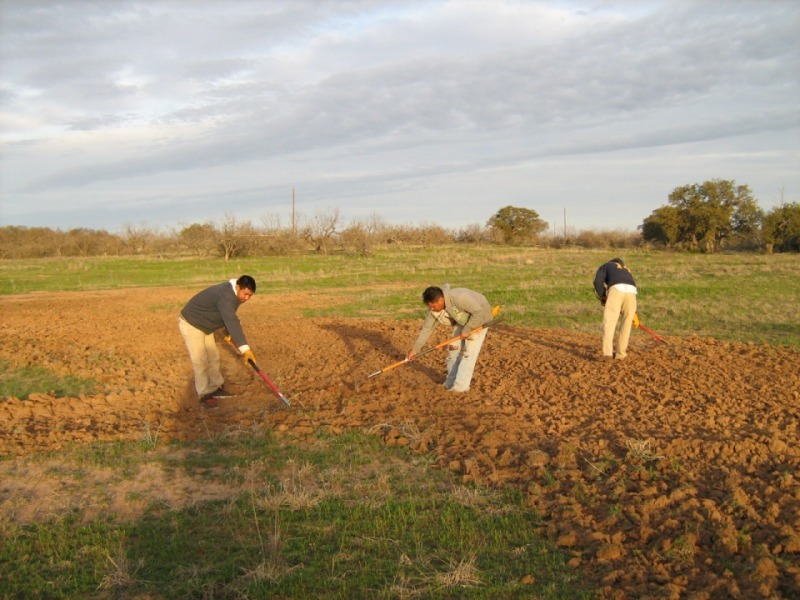 I keep coming back to this question because we have two large fields that seem to remain “stuck” in either mostly forbs or early successional species such as three-awn and Texas grama, despite having not been grazed for seven years, and from several attempts to plant seed and add organic matter. Steve Nelle confirmed that it was indeed possible that our place was so hammered by sheep, goats, and then cattle that there was no seed bank left? 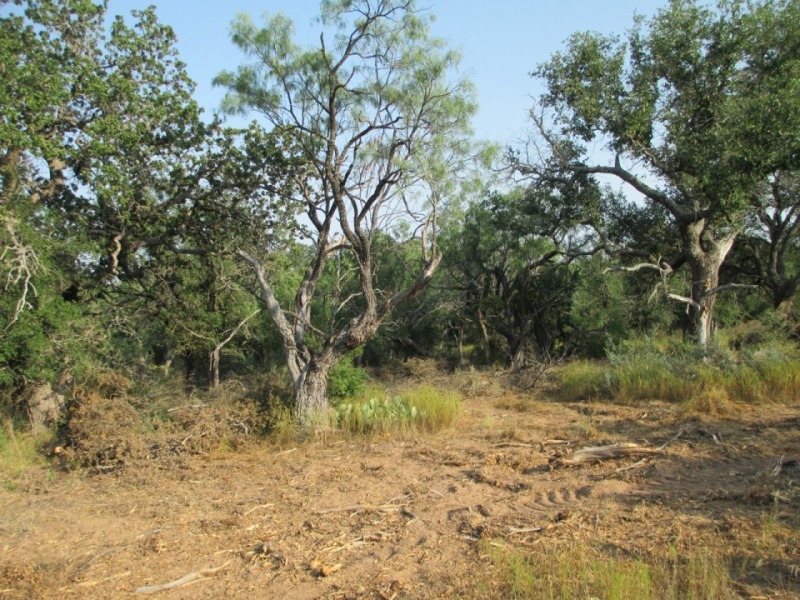 Are so few grasses left that the soil ecology is forever limited and therefore less hospitable to supporting the “higher value” species we continue to sow in brush-cleared areas? The land manager must make decisions based on plausible assumptions of what past land use practices were and what are reasonable expectations for recovery, but I must admit that much of the time I’m still not quite sure what I am looking at. I keep thinking about the assertion made in many workshops that “the seed can stay in the ground fifty years!” and then germinate, “if you just let it rest”. 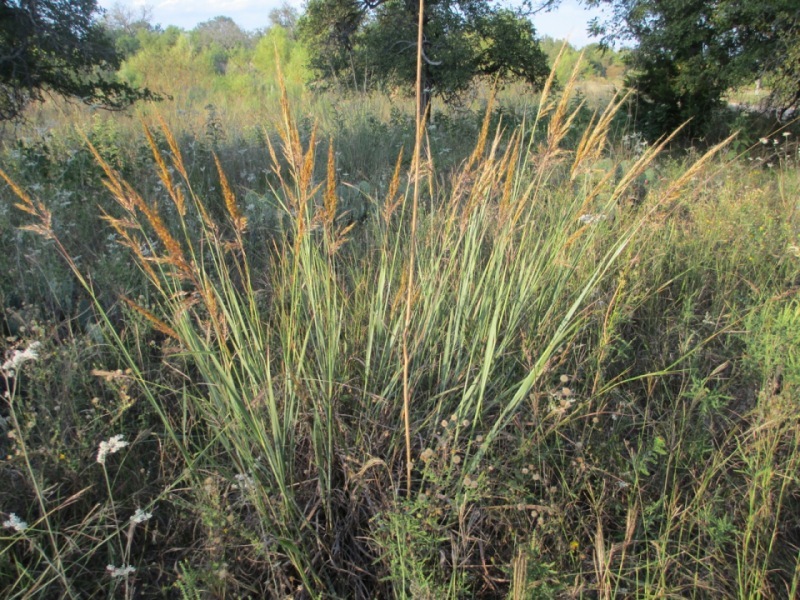 Then again, I remember how recently a landowner in Gillespie Co. told me that her old-school elderly German-Texan neighbors couldn’t recognize yellow Indian grass, Eastern gammagrass, or big bluestem, because they had never seen them. 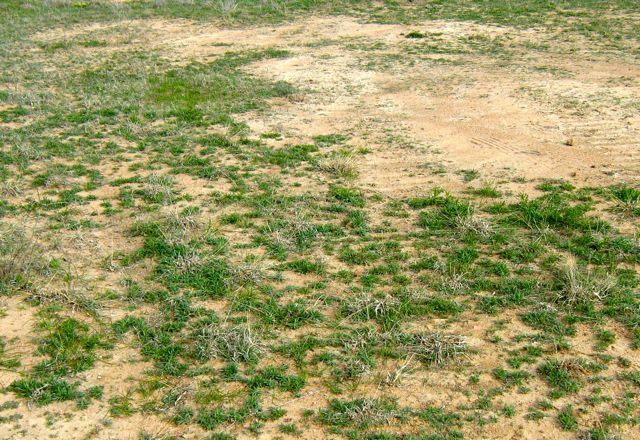 Those and other species had been completely grazed out and unable to recover, even when the area is fallow. It makes it tricky for the landowner to know what he or she has to work with. I understand that recovery takes time, but I can’t buy time like I can buy a little seed. Still, I am excited about the robust leafing out and expansion of some native colonies of little bluestem. 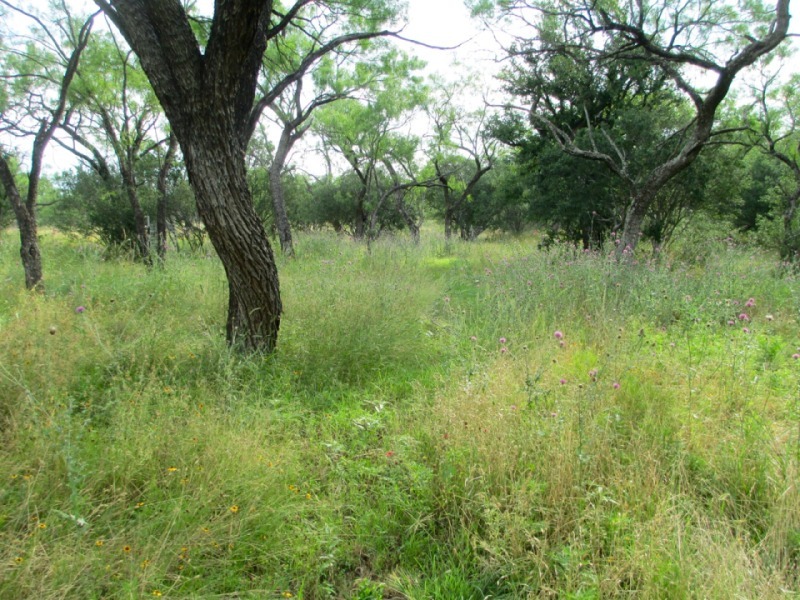 All over the Texas Hill Country, little bluestem a took a hard hit during the 2011 drought, and only now does it seem to be modestly gaining, especially in those favored locations such as the “halo” of tree canopies. Apparently the extra organic material found there helps to maintain good colonies of mycorrhizal fungi that are associated with little bluestem and other prairie grasses in a symbiotic relationship necessary for both to thrive. You can often see these groupings of little bluestem even after the tree has died or been cut down. At least that’s where I find them on our place. Also good to see was the survival rate of small clumps of little bluestem that I transplanted in January of 2015. I had all but given up on any of them making it through last year’s dry spell from May to the end of October, but this year it seems like I can expect a 30-40% survival rate. Knowing this, I think the practice of introducing little bluestem transplants in certain areas is totally worth the trouble, and potentially more successful for me than sowing seed has been. 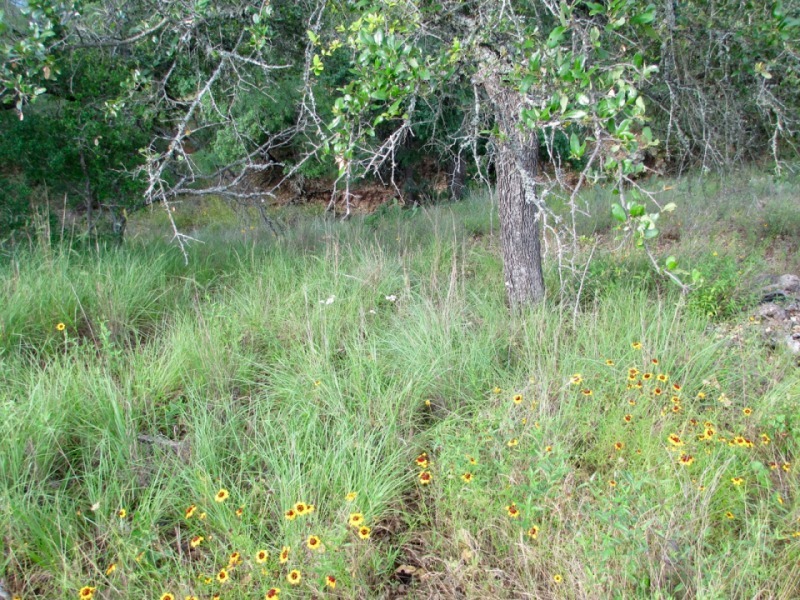 More thoughts on adding seed include the lesson I learned in the LIP grant we got in 2012 where we cleared brush from the woodlands and added seed we thought should be in this area: Eastern gamagrass, purpletop, Yellow Indian grass and inland sea oats. This work took place right after the hideous drought of 2011, and what we were looking at then was bare ground. However, none of the seed we planted in in 2012 has yet to appear. 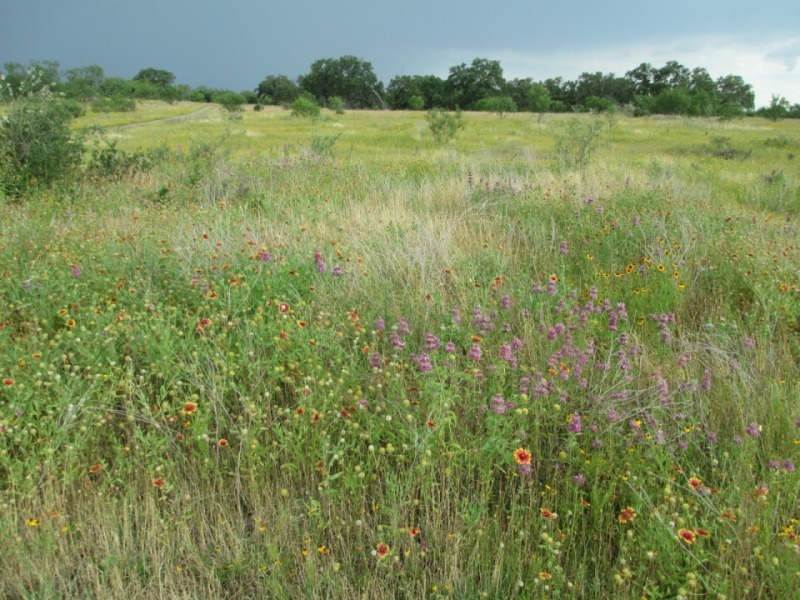 Instead, the area completely filled in on its own with a variety of forbs like pigeon berry, tube-tongue, sideoats grama, Southwest Plains bristlegrass, green sprangletop, white tridens, red grama, vine mesquite, Texas tridens, Canada wildrye, Texas wintergrass, along with the usual mixture of rescue and brome grass. Now I know that we don’t need to buy native grass seed to plant after clearing in woodland areas, as there is plenty present for natural recovery. Instead, now that I know that grass transplants are hardier than I expected, I may use that method to introduce some favorite species in those places where I think they might have a chance of making it. Back at the ranch, I sit on the porch and imagine I can see the trees actually growing. I’m wishing they could internally store all this abundant water like a giant cistern to draw upon during the next drought cycle, which will return before we know it.